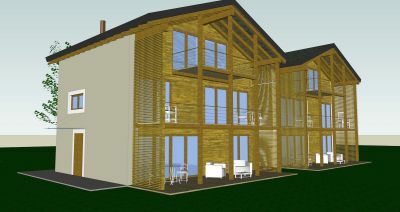 Independent cottage under construction consists of three floors above ground as well as a basement, divided into two apartments: GROUND FLOOR of 65 sqm. + 15 sqm. about a service room in the basement. 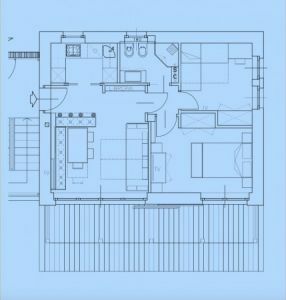 FIRST FLOOR + 110 sqm SOTTOTETTO. + 30 sqm. about a service room in the basement. The house is facing south, very sunny with views of the mountains and meadows in front. The building is very technologically advanced under the point of view of energy saving. It will be heated with a biomass boiler and will have very low annual running costs. Energy classification A / A +. Located at 400 meters. about from the departure of the Monterosaski ski facilities. Excellent investment by type of construction and strategic location to be evaluated especially as a function of the interreg project "ALPLINKS" (www.alplinks2014.it) that will transform the Monterosaski ski area, connecting it to Cervinia-Zermatt, in the largest in Europe and in third place in mondo. N. 1 carport for each building unit. The completed apartments will be certified in class A according to the Beauclimat model of the Valle d'Aosta Autonomous Region, a guarantee of energy efficiency, construction quality and living comfort. The building is designed and built to ensure very low dispersion: the perimeter walls are insulated with a 22 cm thick cladding, as well as on the roof the insulation is 22 cm thick. The windows, with triple glazing, have transmittance values ? ?among the lowest on the market. The large windows facing south ensure a considerable solar thermal contribution. The constant exchange of air and the removal of polluting agents is ensured by a controlled mechanical ventilation system installed in each accommodation, which guarantees optimal thermal and hygrometric conditions, filtration and pre-heating of the injected air and considerable energy savings. The heat of the heating system is uniformly distributed by the radiant floor system. Each detail of the house has been designed and realized with accuracy: from the airtightness of the roof, to the sealing with sealing tapes of the door frames to the cutting of the bridges thermals under the perimeter walls made of high density cellular glass panels. The house will only use renewable energy sources: the domestic hot water and heating needs are covered by an efficient pellet boiler, guaranteeing significant cost savings management. Consumption is accounted for independently for each accommodation. The quality and healthiness of living also passes through the use of materials of natural origin of the highest quality: wood fiber for roof insulation, calcium silicates for the insulation of walls , natural hydraulic lime for plasters, wood for ceilings and roof frames.